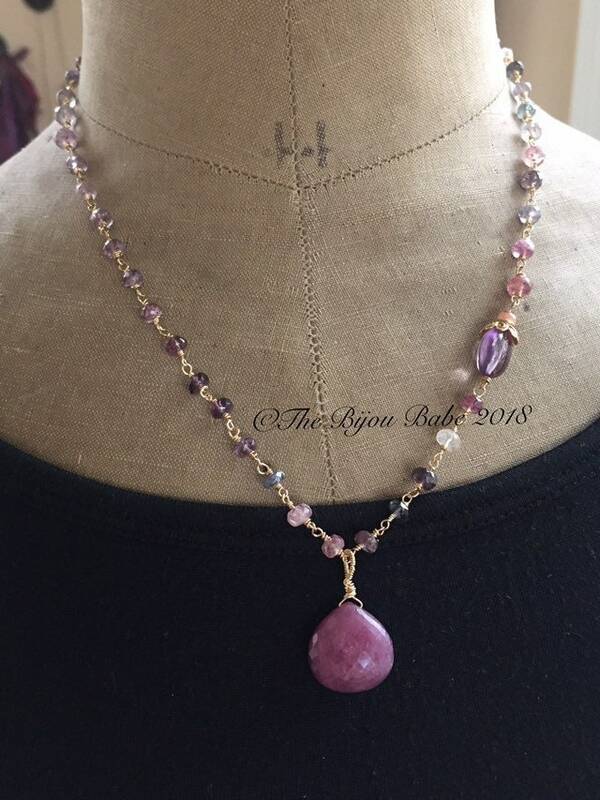 A gorgeous, AAA rated pink sapphire briolette is the focal point for this wire wrapped rondelle necklace. 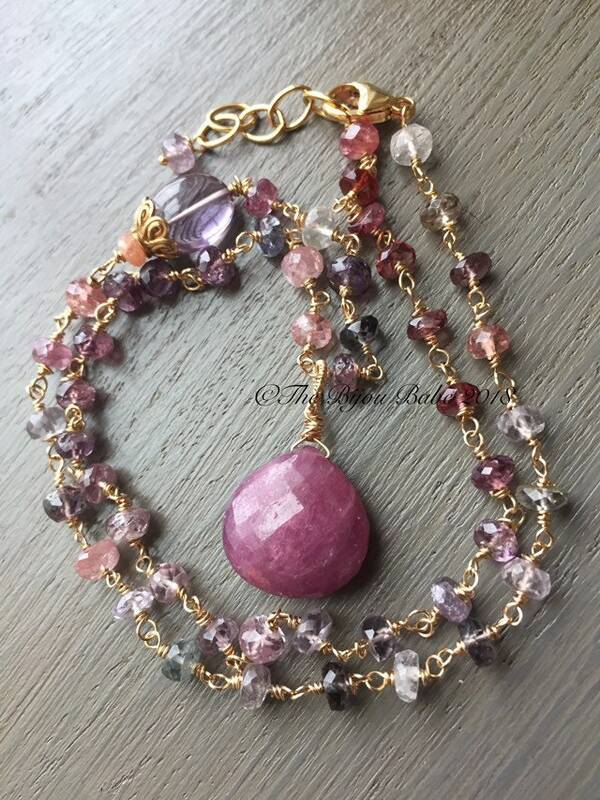 Multi spinel rondelles, in rich shades of plum, lilac, orchid and steel blue are wire wrapped with 14kt gold filled wire to create a luxurious chain suitable for the amazing focal briolette. Visions of sugar plums may come to mind when viewing this piece. :) It's just as delicious! 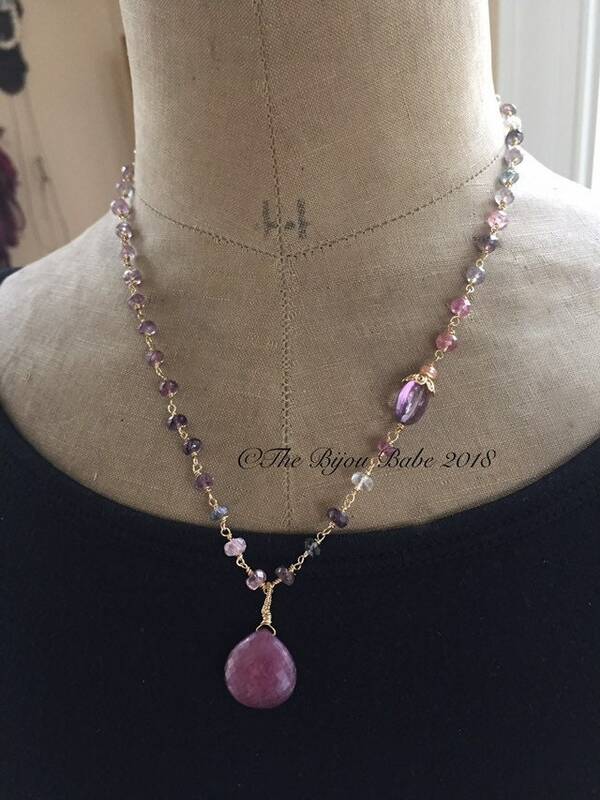 Your "Sugar Plum" necklace will ship USPS Priority Mail with tracking in the US, packaged in a lovely gift box tied with ribbon. ***Please contact me for upgraded shipping prices for international delivery.